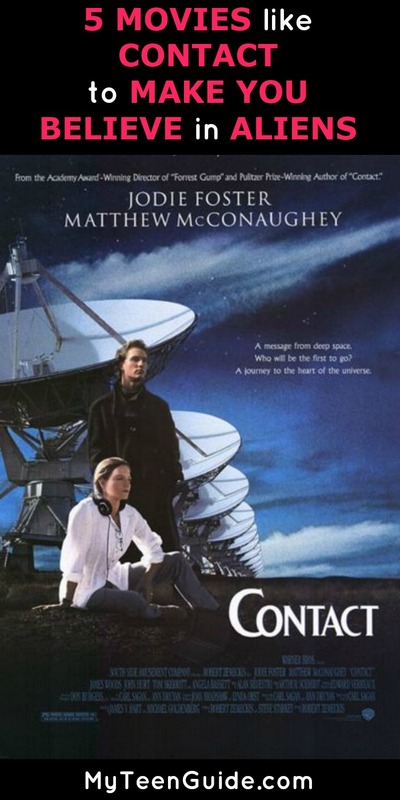 I love everything about SciFi movies that are about space, and these movies like Contact are a great place to start! This movie goes down in the movie hall of fame for simply bringing it in the cool science with a little imagination category. If you love to look at the night sky and wonder what is really out there, you are going to love these movies like Contact. Contact is a 1997 science fiction drama movie that is adapted from the 1985 book of the same name by Carl Sagan. The movie tells the story of Doctor Eleanor Arroway, a scientist working for SETI, Search for Extraterrestrial Intelligence, who is the first person to make contact when extraterrestrial life is discovered. Contact stars Jodie Foster as Doctor Eleanor Arroway. Check out the trailer, then see other movies like Contact! Interstellar is a 2014 epic science fiction movie that tells the story of a crew of astronauts that journey through a wormhole in space in order to locate a new home to ensure the survival of humanity. Interstellar stars Matthew McConaughey as Joseph Cooper, Jessica Chastain as Murphy Cooper, Anne Hathaway as Doctor Amelia Brand, Matt Damon as Doctor Mann and Michael Caine as Professor John Brand. Independence Day is a 1996 epic science fiction movie that tells the tale of a group of people trying to survive aliens who are on a mission to destroy Earth. As the aliens invade Earth on July 4th, mankind sets up a last minute counterattack. Independence Day stars Bill Pullman as President Thomas Whitmore, Will Smith as Captain Steven Hiller and Jeff Goldblum as David Levinson. The Arrival is 1996 science fiction movie that tells the tale of Zane Zaminsky, a radio astronomer who discover the world of intelligent alien life. However, he quickly learns this new alien life is keeping a deadly secret that they are trying to make sure he doesn’t find out. The Arrival stars Charlie Sheen as Zane Zaminsky. Mission to Mars is a 2000 science fiction movie that takes place in the year 2020. The movie is about the first mission to Mars that ends in disaster and a rescue mission is launched to bring back anyone that may have survived. Mission to Mars stars Gary Sinise as Jim McConnell, Tim Robbins as Woody Blake, Don Cheadle as Luke Graham and Jerry O’Connell as Phil Ohlmyer. K-Pax is a 2001 science fiction mystery movie that is based on the 1995 book of the same name by Gene Brewer. The movie is about Prot/Robert Porter, a psychiatric patient who believes he is an alien from the planet K-Pax. However, as his psychiatrist, Doctor Mark Powell, provides his with a treatment regimen, the doctor starts to doubt his own explanations. K-Pax stars Kevin Spacey as Prot/Robert Porter and Jeff Bridges as Doctor Mark Powell. So what are your favorite movies like Contact? Tell me all of the space and alien movies you love down in the comments!